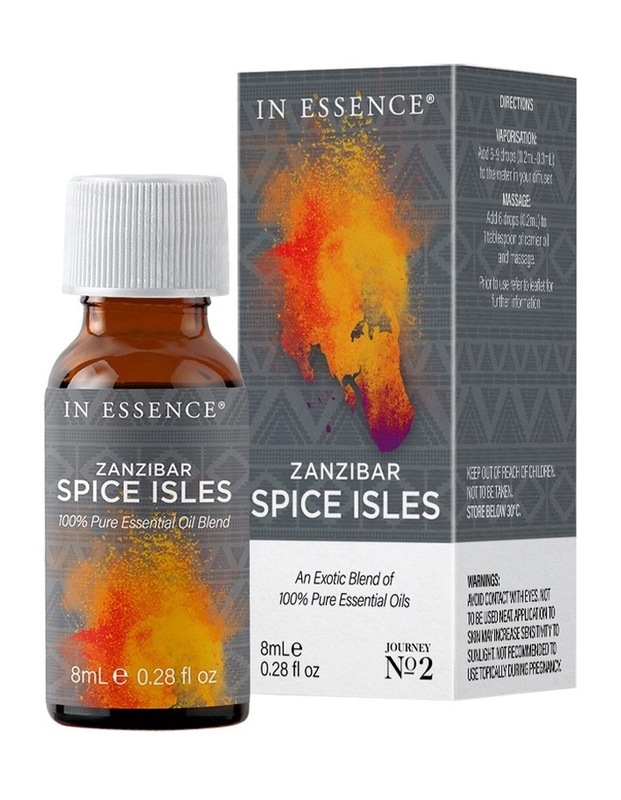 An exotic pure essential oil blend of Vanilla, Clove and Cinnamon to transport you to the traditional spice island of Zanzibar. Reminiscent of long forgotten coastlines, here the sound of waves lapping at the shore is accompanied by the rustle of palm fronds waving in the breeze. Spices were once traded here in the stone-walled city. Allow the sweet and spicy Vanilla, Clove and Cinnamon aromas to transport you to this place where the sun warms your back and the ocean twinkles its deepest blue. NOT TESTED ON ANIMALS. Vaporisation: Add 6-9 drops (0.2mL-0.3mL) to the water in your diffuser. Massage: Add 6 Drops to (0.2mL) 1 tablespoon of carrier oil.